Saw Mill Road Elementary School in the North Bellmore School District raised more than $4,400 for the Leukemia and Lymphoma Society through the Pennies for Patients program. The collection was done in partnership with the PTA and coincided with the Pick a Reading Partner program. During PARP, students were encouraged to read for a cause and donate their pocket change. Money raised will go toward finding a cure for leukemia, lymphoma, Hodgkin’s disease and myeloma, and improve the quality of life of patients and their families. 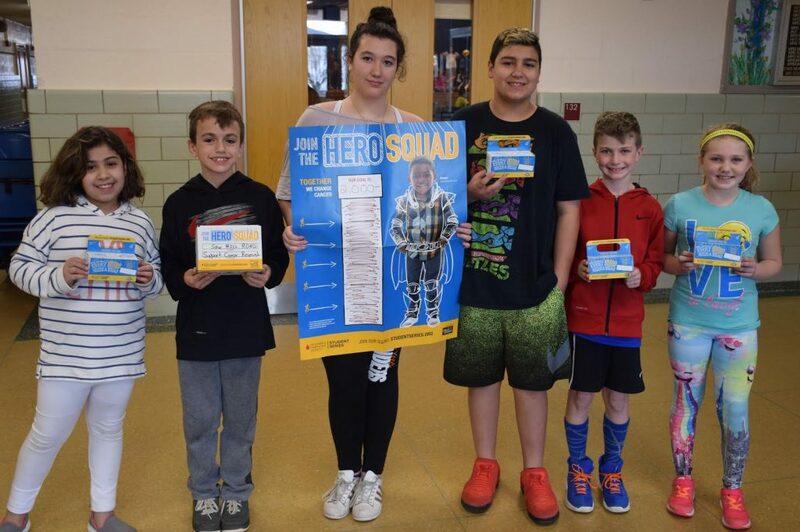 Photo caption: Saw Mill Road Elementary School students, from left, Luna Tejeda, Frank Chiodi, Chiara Merenda, Vincent Galante, Frank Fasano and Caitlin Callahan were among those who contributed to the Pennies for Patients campaign.